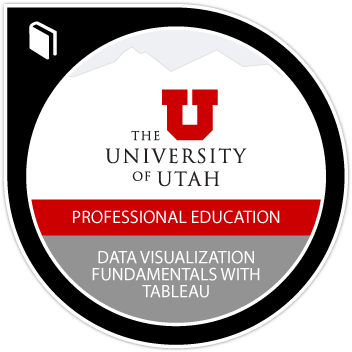 Badge earners will understand best practices of data visualization and have demonstrated the ability to connect data into Tableau to create extracts. They will be able to create various chart types and understand best practices for presenting data visually. Earners can manipulate data and create calculated fields. They can use the analytics resources in Tableau and create and publish a multi-chart dashboard.